The OnoMATOpoeia is basically a sonic super hero. Clean boost by day, dirty overdrive by night, and with some serious superpowers hidden up its sleeve. It’s the secret sauce your pour on your tone when you want that extra Oomph! That extra Kapow! It’s what you kick in when you need your solos to soar or your rhythms to roar. 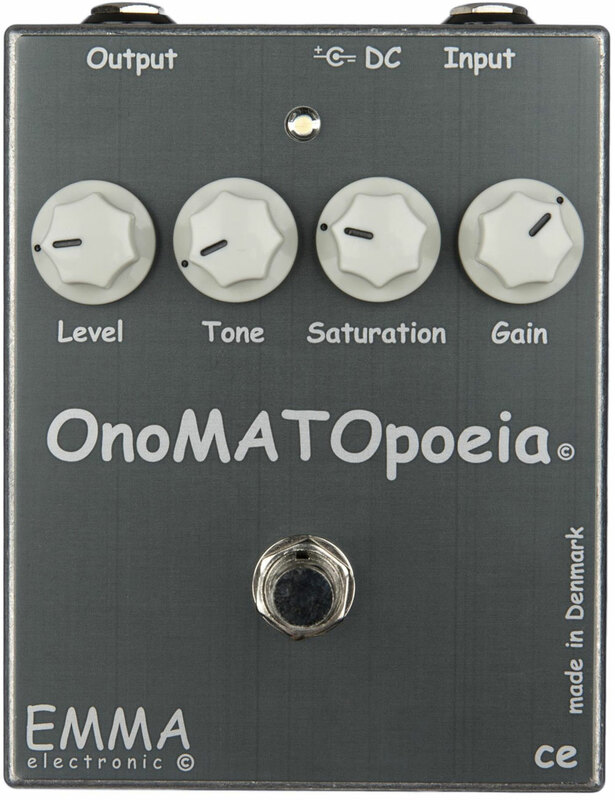 The goal with the OnoMATOpoeia was to create a pedal that every player out there would benefit from having on their board. Something that would sweeten up the sound no matter if it was used subtly or shamelessly. The result: a unique and versatile boost/overdrive pedal that can do anything from adding a little push to lift solos or rhythms off the ground, to adding some glorious tube-like grit. With the addition of a wide-ranging “seesaw” tone control and a saturation knob that changes the gain structure from loose, old-school and slightly fuzzy to tight and modern, this pedal has a tonal trick available for any musical trade out there.